I’ve been listening to the new collection of songs from Terry Taylor and crew, otherwise known as Daniel Amos (also known to fans as simply DA). Dig Here Said the Angel is as good as anything the band has done in their 40-year history of intelligent, Beatlesque alternative rock music. I was first exposed to DA as a teenager by a youth leader at one of the local churches in my hometown of Princeton, Kentucky. He loaned me his cassette of ¡Alarma!, DA’s third album actually, and I was hooked by the catchy melodies and musicianship. Taylor’s lyrics are what really got to me, though. I was at the beginning of a long quest to understand my spiritual nature — if I even had one — and the general concept of spirituality as a human quality. DA’s songs, while rooted in basic Christian beliefs (a mono-theistic, omni-God, trinity doctrine, salvation through Jesus Christ, heaven and hell) tended to stand at the edge and reflect rather than preach. This was a big deal to a farm boy from Kentucky who was raised in a mostly fundamentalist religious culture. Taylor explored a sort of modern American Christian life without the underpinnings of judgement that were so prevalent in my stereotypical upbringing. It was a notable early part of my rejection of Christianity, which is a statement that would probably sadden Terry Taylor. At their heart, I believe DA was and still is a project that has always been on a mission to “spread the good news”, not turn listeners from it. In my case, the thoughtful theology and liberal scope of the lyrics paired with fun, textured, sometimes intricate music pushed me toward a kind of energetic, yet contemplative, open-to-the-possibilities sort of state. DA has always motivated me to think romantically, yet critically about the animus and how it tends to become codified by large-scale organization (e.g. religion). In my 20’s that was useful as I hit atheism; in my 30’s, as I began to see patterns and granular value in disparate parts of the world’s major religious traditions, DA stood out as a comforting example of modern Christian media. Today, as an agnostic and a logician, their music is a trip down memory lane, a satisfying nostalgia for really formative periods. Sure, it’s just rock music. It’s couched with popular sentiment and clever allusion to one worldview. It has just enough cool, kitsch, pomp and rebellion to energize and exercise. And in the story of my life and work it’s far more footnote than chapter. But I couldn’t be more pleased that Terry and company are still making it. 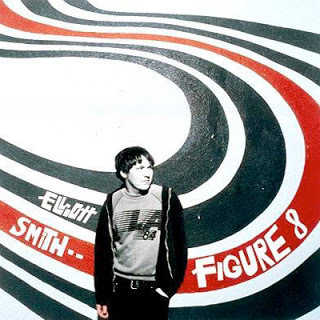 The ten-year anniversary of Elliott Smith‘s death is today; it’s hard to believe it’s been a decade since one of the best songwriting minds of my generation decided to log off the Earth server for good. A few weeks ago I picked up the new book, Torment Saint: The Life of Elliott Smith, by William Todd Schultz (Schultz has also written on Diane Arbus and Truman Capote). It’s a well-documented, detailed look by a devoted fan into Smith’s life and journey. Smith was a seriously complicated guy. I remember when I got his first solo release, Roman Candle, in the mid-90’s and how blown away I was by the emotion and especially the craftsmanship of the songs. I was writing a lot of songs back then myself, several of which eventually wound up as the pseudo-band project The Daisies (some of those songs are now part of IUMA — see here if you’re interested). Elliott left us with a number of great songs, and while many are slow, dark ripostes to years of abuse and victimization, much of his work is a healing salve for the mind and heart. This was a guy who suffered tremendously, often by his own hand, but in the truest artistic fashion he transformed that suffering into beauty and truth. In January a gig with Smith and Jon Brion popped up on YouTube, circa 2000. Smith’s performance is powerful. 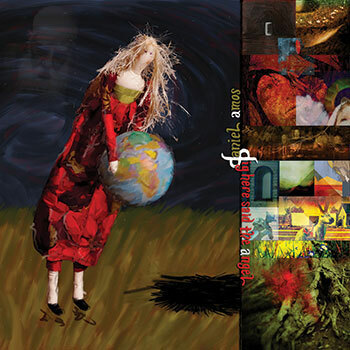 Independence Day, accompanied by Brion and jazz pianist Brad Mehldau is mesmerizing. Smith also plays a few covers, including renders of Lennon’s Jealous Guy and Big Star’s Nightime (what a treat — Smith covering Chilton! ).